TILBURG, 28 September 2017 – ProDelta has fully delivered Distriport Tilburg and has leased the last available units, with a size of app. 20.000 sqm, to XPO Logistics. XPO Logistics leases in total 62.500 sqm of logistic space. 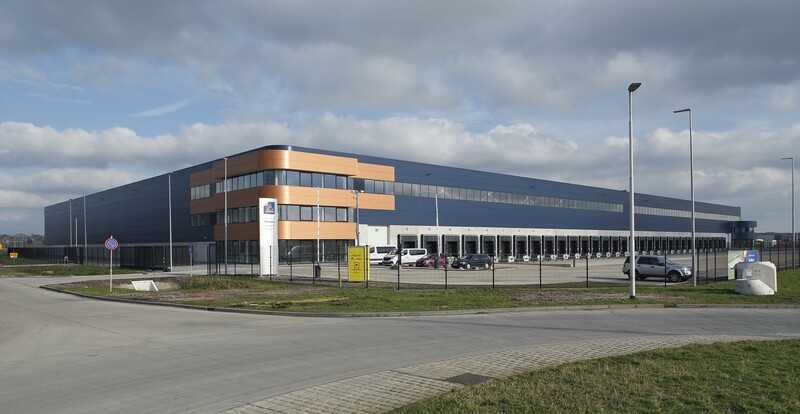 ProDelta, the logistic real estate company, started in 2015 with the construction of Distriport Tilburg. The distribution complex is situated at business park Vossenberg West II, next to barge terminal Tilburg. The distribution complex includes 62.500 sqm logistic area, dived in six units which can be combined. Recently are unit 5 (7.743 sqm business space, 379 sqm office space and 1.129 sqm entresol) and unit 6 (10.378 sqm business space, 760 sqm office space and 1.122 sqm entresol) successfully delivered to ProDelta which leased it out to XPO Logistics. XPO leased before unit 1 till unit 4 (44.391 sqm business space, 776 sqm office space and 5.542 sqm entresol). XPO Logistics is one of the global top-ten suppliers of transportation and logistics services. Due the high level of automation, XPO Logistics is capable to process more as 50 million orders. The total distribution complex provides employment for 1.000 people. It is important for investors and developers like ProDelta to invest substantially at good logistic locations with adequate critical mass and high quality. More than 200, national and international manufacturing companies and logistic service providers are established at Tilburg biggest industrial area, like Coolblue, Tesla, Syncreon, DB Schenker and DHL. West-Brabant is as a result of the before mentioned establishments recently appointed as the logistic hotspot of the Netherlands. INDUSTRIAL real estate partners advised ProDelta with this transaction.